If you were brave enough to click on the link to this recipe, you were pretty smart. 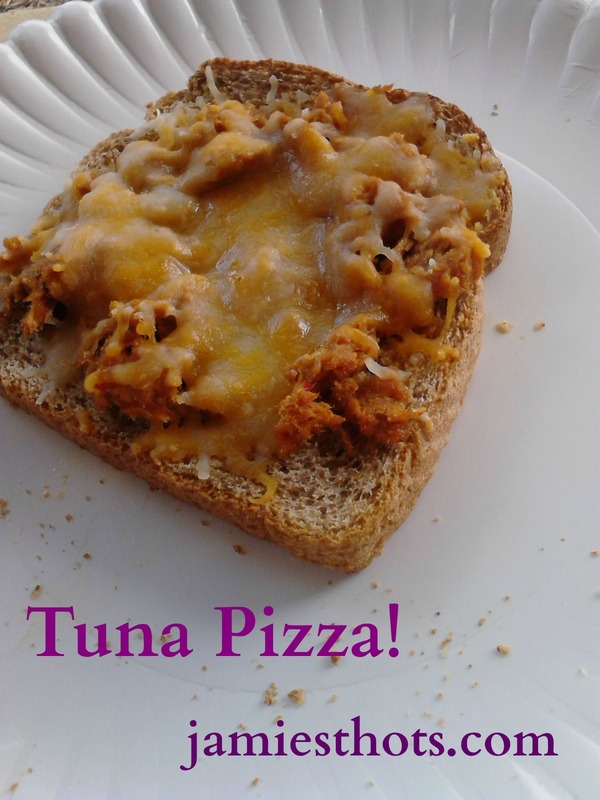 I’m sure the idea of tuna pizza sounds a little weird to some, but it’s quite good! BBQ Tuna Pizza is what I had as a child, but now I also really enjoy using Sunkist’s Tuna Creations so I’ll share that too. I remember as a child my mom making this and I felt so accomplished when I too learned to make BBQ Tuna Pizza. I have a small confession: it didn’t occur to me until recently when I was making this for lunch that it is in fact a tuna melt. I’m pretty sure it got called pizza so us kids would eat it. I still call it pizza! Sprinkle a fair amount of shredded cheese (sorry, I just eyeball it) or place one slice (sandwich size) of cheese on the tuna. So you’re not a BBQ sauce person. Never fear! You can have this relatively low-fat, easy-to-make-reduced-carb recipe. I would suggest using whatever flavor of sauce you do like. Mayo is not a good option, I don’t think. 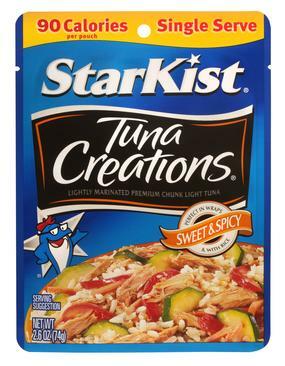 I also highly, highly recommend you pick up some Tuna Creations from Sunkist. They are only 90 calories each and are perfect if you are making individual servings (it basically requires two pieces of bread, which equates to a single open-faced sandwich). I use the Sweet and Spicy pack and split the tuna between two pieces of bread then cover it with shredded cheese. No sauce, lots of flavor. What other ideas do you have for making healthy tuna snacks and meals? Leave your thots!